These are a simple and flakier version of the traditional pigs in a blanket using pancakes. 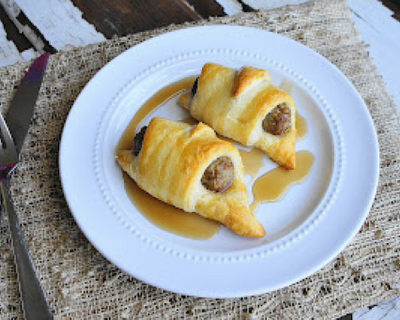 Use pre-cooked sausage for an even faster prep, or your favorite breakfast sausage. Just pre-cook them before assembling.